Kwando & Linyanti | Discover the Botswana Wildlife with Safari & Beach! To the nort-east of the Okavango Delta are the superb Kwando, Linyanti and Selinda concession areas. The varied habitats and incredible game viewing of this region make it an excellent inclusion in any safari either independently or as a complement to an Okavango visit. The whole area is famed for enormous elephant herds that dominate the landscape alongside an impressive volume of predators (lion, cheetah, leopard, hyaena and wild dog) and plains game (lechwe, wildebeest, zebra, giraffe and roan). The mix of safari activities available is exciting with day and night game drives, walking safaris, boat cruises along the rivers and a number of beautifully positioned hides for viewing the wildlife. Kwando Concession sits on the northern edge of Botswana, bordering Namibia across the Kwando River. An enormous 2,320 sq km’s, the western side is dense mopane woodland whilst to the east along the riverbanks the landscape is interspersed between riverine forest, tree-islands and open floodplains. This is one of the most rewarding game viewing areas of the country where the concession owners have set up two camps that focus on game viewing with top quality guiding. 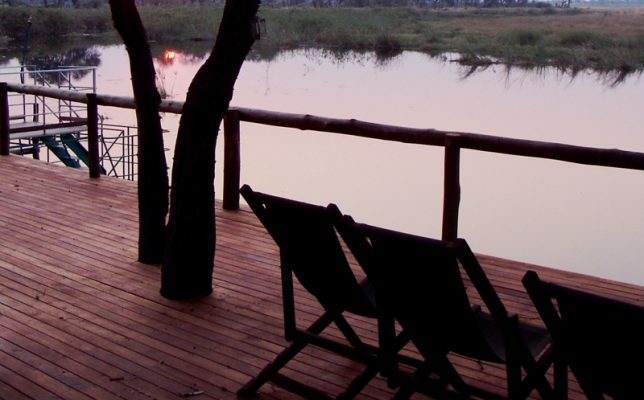 To the north, on the banks of the Kwando River is the beautifully located and relaxing Lagoon Camp. 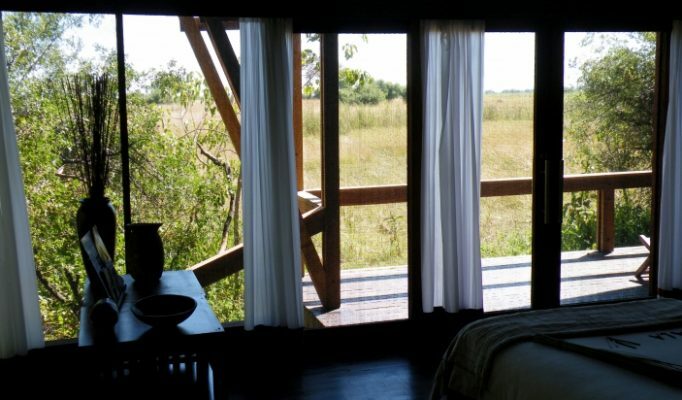 Further south located on an open grassland plain close to the river is the unique and stylish Lebala Camp. Linyanti Concession covers 1,250 sq km’s and is a superb wildlife area, with a terrifc atmosphere of remoteness and space. The whole area is dominated by mopane woodland whilst along the Linyanti River exists a strip of riparian forest and floodplain. The Savuti Channel which bisects the concession is now flowing again after years of dryness and provides a year-round water source attracting high volumes of big game. We have had some great feedback recently on the guiding and game viewing at Duma Tau Camp. King’s Pool offers the “premier” luxury camp experience. Selinda Concession covers 1,350 sq km’s is a similar environment to the Linyanti but differs in the increased extent of floodplains with the Selinda Spillway linking the Okavango and Linyanti river systems. The main permanant camps are found in the far east of the concession in more open areas, where small palmed islands stand amidst large dry plains. We really enjoy the more traditional tented set up at Selinda Camp. The exclusive luxury option is Zarafa Camp.